When it comes to increasing traffic to your website you have two options, pay per click (PPC) advertising or search engine optimisation (SEO). Both of these methods will create results leading to a boost in traffic and increased sales potential. The main difference is that SEO is organic and free coming from the clever use of keywords to generate interest through google ranking your website higher on google rankings and thus making it easier for potential customers to find. Pay per click as the name implies is paid advertising to boost and drive traffic in your direction. When using this system to want to make sure that it is working for you. TBA Media are able to assist you in setting up proven strategies which have created results for many of our customers and will do the same for you. 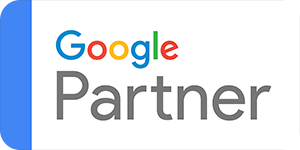 Essentially it works in collaboration with PPC as part of a comprehensive marketing campaign specifically designed on an individual basis for results. At any one time there are millions of people across the globe trawling the internet looking for business where they can spend their money. What SEM does is help your business stand out from competitors when customers use key words associated with your industry, services or products beyond what SEO alone does increasing the traffic to your website. At TBA Media we offer managed campaigns with providers of PPC marketing to gain maximum impact and generate credible leads. For further information on how we can help you to build traffic contact us, we are happy to discuss all options.